The Valentine’s Day season: for some of us its about a romantic date night, for others it means stuffing our faces with a chocolate box and watching a movie at home. Whether you are weathering the holiday solo or with a partner, Valentine’s Day can bring up feelings of loneliness. As freelance and remote work is on the rise, the “loneliness epidemic” is growing. One way to feel less isolated? Joining a shared workspace! 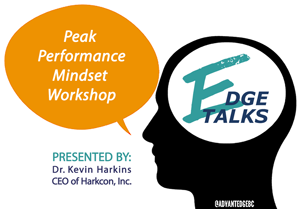 Get Free Tickets to "EdgeTalks: Peak Performance Mindset Workshop!" Embracing March Madness in the Shared Workspace! Viewing parties, good-natured competition among colleagues, and basketball mania galore highlight life at AdvantEdge Workspaces during March Madness. 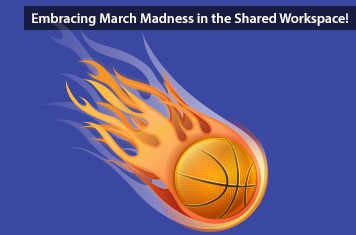 Like most of the nation, we have dove head first into the "Madness" of March Madness! Surprisingly, only 11% of employers support March Madness in the office, stating that it inhibits productivity. As we celebrate our sixth year of inter-office bracket challenges and social office events, our shared workspace begs to differ! 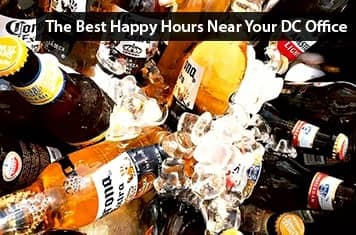 Whether you’re "working for the weekend" or you genuinely enjoy your job, happy hour is your chance to breathe and truly get to know the people you work with. Whether bonding, networking or venting, those dimly-lit hours after work belong to you! Not sure where to go? We've got you covered. 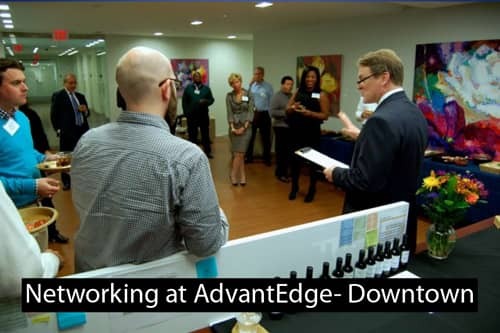 Up and coming non-profit leaders from across the DC Metro area gathered Thursday for a roundtable discussion presented by AdvantEdge Business Centers and TD Bank. Each guest, in the midst of building their own non-profit organization, shared their stories and goals for future success and spoke with representatives from TD Bank about how to make reasonable action plans creating financially bright futures for their organizations. Tired of collecting business cards at so-called “networking” events without forming any meaningful relationships? Are dozens of LinkedIn member invitations sitting in cyber limbo because you can’t remember who they are or how you met? Every professional knows the importance of communication in the office, but we often neglect communication's unsung hero: listening. This week our new Downtown D.C. Training Room played host to the Listening: The Superhero of Communication workshop. 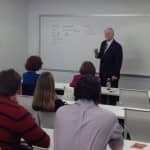 Facilitator Lou Hampton, a communications professional with 30 years experience and CEO of The Hampton Group, used our 50-person training room to its full potential, guiding a group of captivated tenants in our shared office space on a journey to realize their full listening potential. The state of the art training room takes meeting space to the next level featuring a projector, screen, two high definition televisions, and a sound system with a microphone for the speaker. One of the greatest things about having an office in Washington, D.C. is getting the privilege to experience the city’s cultural and networking offerings with your colleagues. During the holiday season it’s great to step outside your office space and take-in the sights and sounds of the season. Here's a list of some of the area’s holiday events that offer a great opportunity to network with clients or spend time with your employees.